We set up tables outside in the mottled shade of the tree and ate till we felt like we might explode. And isn't that the measure of a successful Thanksgiving? Our menu was a mix of traditional American Thanksgiving + vegetarian goodies + Robbie's famous roast lamb with cumin and coriander. I'll try to share as many of the recipes as I can ... beginning with the cornbread, which is hereforth known as "The Very Best Cornbread," and uses our old thrifty favourite, polenta (corn meal). 2. Combine all the dry ingredients in a bowl and mix well. Make a well in the center of the dry mix and add all the wet ingredients. Mix with a wooden spoon or spatula until well combined, making sure you get the egg yolks all mixed in. (Many people, Mollie Katzen included, would mix the wet stuff together first before adding it to the dry stuff, and you can if you want, but I hate washing dishes so the all-in-one-dish way is how I do it). But also try not to over-mix. 3. Pour your batter into the dishes, put them in the oven and bake for 20-30 min. 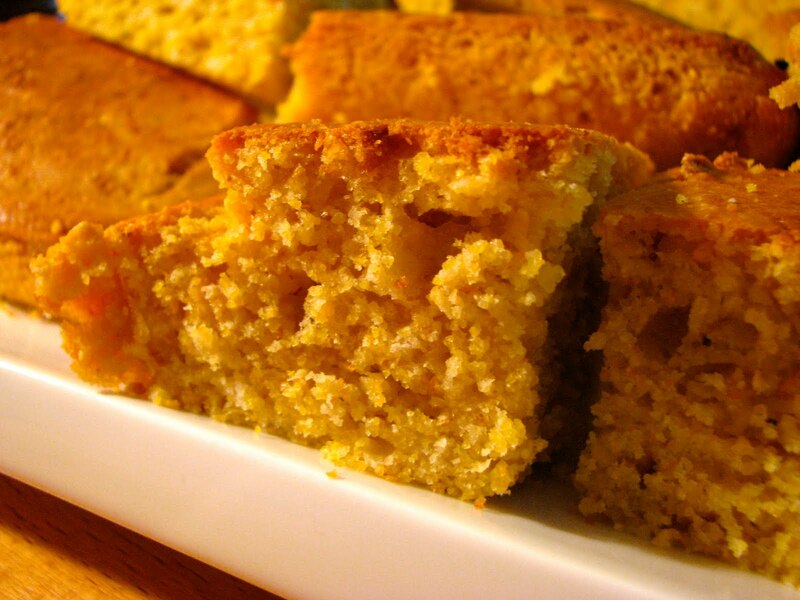 When done the corn bread should be golden on top and a skewer inserted into the center should come out clean. 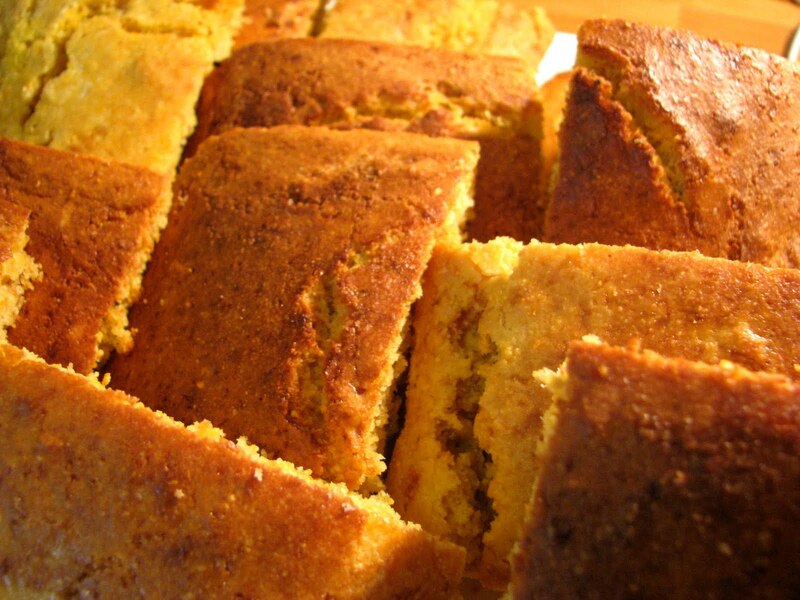 Wait a few minutes before popping the cornbread out of the dishes, to minimise breakage. 4. Serve large squares or triangles with butter and honey (apricot jam or maple syrup are yummy too). PS You can also make these into muffins, you'll probably get around a dozen from this recipe. Just reduce the cooking time to 15-20 min and keep an eye on them. Nelle loves them. This is a must try. With such few ingredients this could not be simpler and by the looks of it this is gonna be wonderfully flavorful. Another tasty recipe for my family!